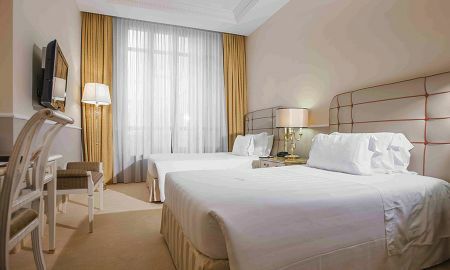 While staying at the Golden Tower Hotel & Spa become immersed amidst the timeless charm of the building. 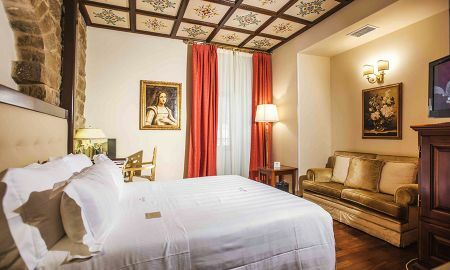 Steeped in cultural richness, breathe the splendour of Renaissance Florence within this all-encompassing mansion that belonged to the prestigious and powerful Strozzi family. 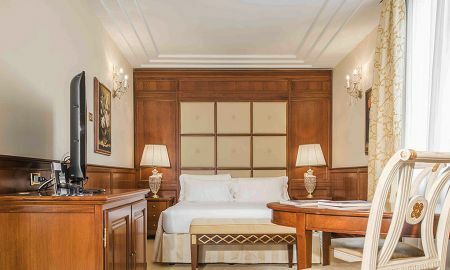 Boasting 30 opulent rooms and suites of 11 different types, each one is distinct in its own way, offering unrivalled comfort for a memorable stay. Featuring an intimate and delightful setting, abodes are carefully decorated in a classic style mixing Tudor and contemporary, each enriched by the tasteful plush fabrics and furnishings. 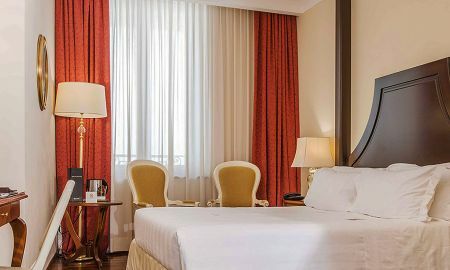 All the necessary deluxe amenities and facilities are provided in every room, including complimentary Wi-Fi internet access. 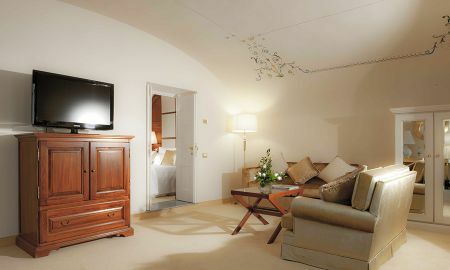 For a truly unique holiday, choose one of the Tower Suites which are actually located inside the Tower. 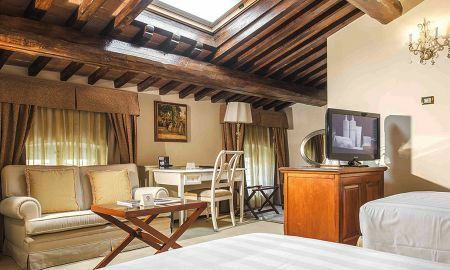 Guests at the property’s Golden Restaurant can fine dine in the elegant luxury of a beautifully frescoed Renaissance salon. Every morning awaken taste-buds with a scrumptious breakfast buffet prepared with the best local ingredients and produce, and before an active day of sightseeing or relaxation, sip a freshly brewed coffee, tea, or fruit juice. The Golden Beauty & Spa is the only wellness centre in the historic downtown area of Florence. Equipped with a Turkish bath, invigorating showers, whirlpool spas and a sauna, the centre promises hours of pure relaxation. Pamper the body and mind with a massage or beauty treatment surrounded by a tranquil ambiance which offers a well-deserved respite. 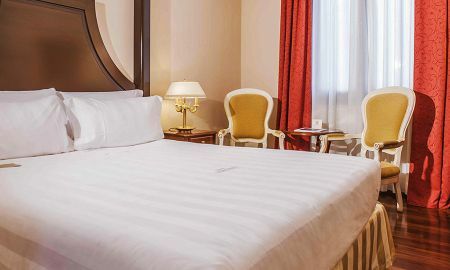 The Golden Tower Hotel & Spa is situated on Piazza Strozzi, in the historic city centre of Florence. 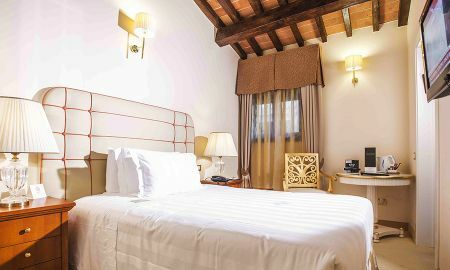 An ideal base from which to visit the incredible artistic treasures of the city, the neighbouring streets are lit up by the presence of some of the most prestigious fashion boutiques, while renowned sites such as Florence Cathedral and the Uffizi Gallery are within a 5-minute walk. Florence Airport is approximately 12 km from the hotel. BABIES: FREE share the bed with parents or baby coat (not in classic rooms and tower). CHILDREN 0-5 YEARS OLD: FREE if they share the existing beds with parents. 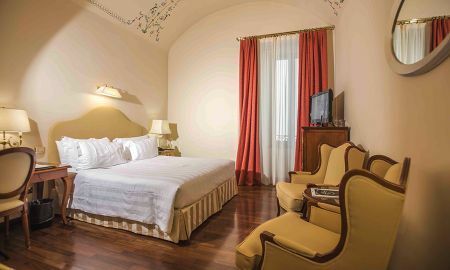 CHILDREN 0-5 YEARS OLD: supplement of 100 Euro per night for the extra bed (In Junior Suite and Suite).